“I didn’t have a clue about chiropractic… how it worked or what it could do. All I knew was that it gave mom her life back. After graduating from Michigan State University in 1982, Dr. Stein received his Doctor of Chiropractic Degree from Life Chiropractic College-West in 1989 and became officially licensed in 1990. Dr. Stein fulfilled his dream when he and his fledgling family moved to Israel for two years where he served as a chiropractic pioneer by founding the Jerusalem Chiropractic Center. He returned to the United States in 1991 and opened his present clinic in La Jolla. He’s also very involved with the La Jolla County Day School, providing services for their athletes and many faculty members. 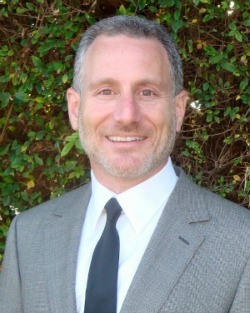 Dr. Stein is a family man, married and the proud father of four children. In his spare time, he loves going to the gym and playing racquetball. He’s also a member of the local synagogue. Dr. Stein feels blessed to be able to help his patients gain better health through chiropractic. You can be next! Contact us today at 858.587.7000 to schedule a visit.